Speed PRO multiplayer is a fun and exciting app for iOS user who loves to get around a bit. 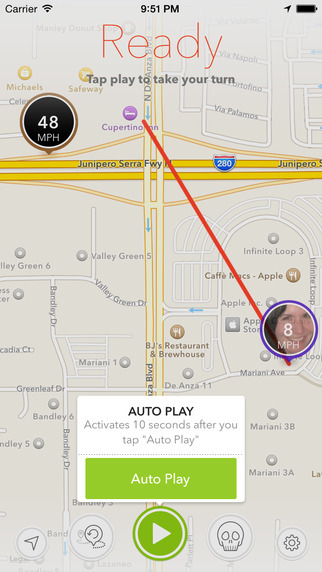 The app tracks your movements and activities, posting these into real time events in the app. 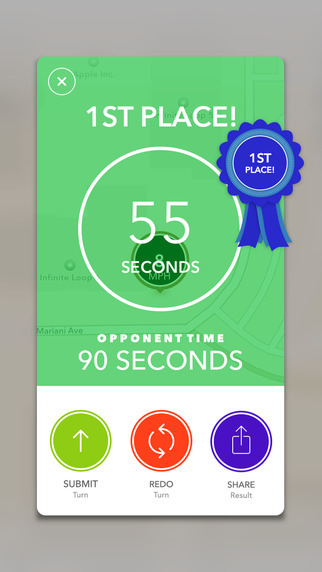 Pitting you against your friends and others around you makes this app a great bit of fun that draws a bridge between the real world and your smartphone. We had a bit of fun around the office with this and it definitely brought out bragging rights and competition in a new area we probably didn’t need to compete. Myself and our other app reviewer Jonny set out to better each others daily scores but also take part in real-time competition. The app itself tracks a number of different activities throughout the day, including step counting, bike riding, running and most motion based activities; this really keeps tabs on you and any activities you do throughout the day. Wearable technology has long been touted as the next big thing, but we think Speed PRO will be perfect for those who just want to have a bit of a go with fitness based tracking, without having to invest in a wearable. Fitness apps are a dime-a-dozen these days and this competition has definitely forced developers to step up their game (pun intended!). Within 15 minutes of using Speed PRO, the thing I loved the most was just the concept of being able to do things and challenge people (or yourself) in the real world. It’s because of this great idea that the app didn’t get old. Add the whole scenario of challenging co-workers, friends and strangers to the equation, there is no limit to the fun I’ll get out of this. Of course, when I start getting convincingly beaten, I’m sure I’ll throw in the towel. The way this app is designed makes it very easy for you to get around the app, which gives you more time to get around your city. Even progressing further from the UX design, the app design itself is vibrant, clean and fun! Mirroring all the qualities of the app itself. The only downside that we found with this app was that sometimes the tracking wasn’t overly accurate, but to save the price of buying a wearable, this was far from a deal breaker. The other recommendation we have is to make sure you’re near a phone charger. Not only does this app force you to drain your personal energy stores, but it also loves to take the energy of your phone. This is hardly surprising though as most apps that rely heavily on geo-locating will more often demand some serious juice. 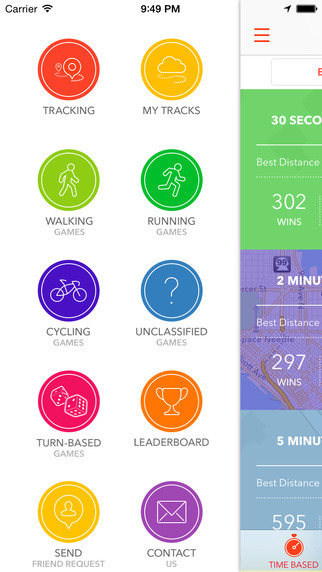 This great fitness app is much more than just an activity tracker, it’s a competition creator, a fitness tracker, a game maker and an ultimate cure for boredom. It’s also a great way to find out who the alpha male in the office is. The design and concept are so well executed, making it an absolute breeze to use. Saving the price of having to buy a wearable to get all of your fitness stats is perhaps it’s greatest feature though. 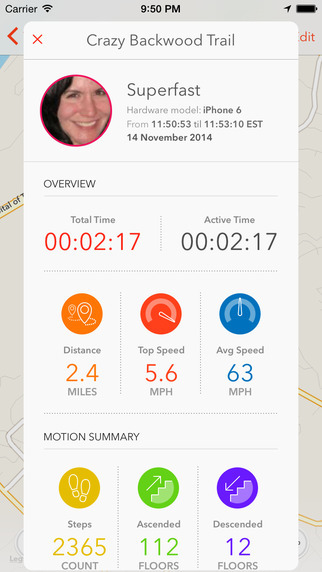 If you’ve been sitting on the fence with fitness tracking, get this and give it a go, we’re sure you’ll love it. Speed PRO multiplayerrequires iOS 7.0 or later. Compatible with iPhone, iPad, and iPod touch. This app is optimized for iPhone 5, iPhone 6, and iPhone 6 Plus.